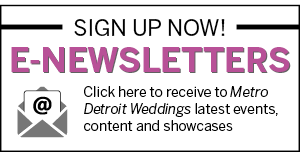 “HERE COMES THE BRIDE” comes with much planning, effort and time to perfect the special day, so it’s no wonder that a honeymoon is much deserved as a newlywed couple. 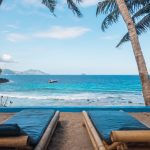 Whether you’re looking to relax in your own backyard, explore another part of the United States, or escape to an international destination, there are endless options when it comes to the perfect honeymoon. 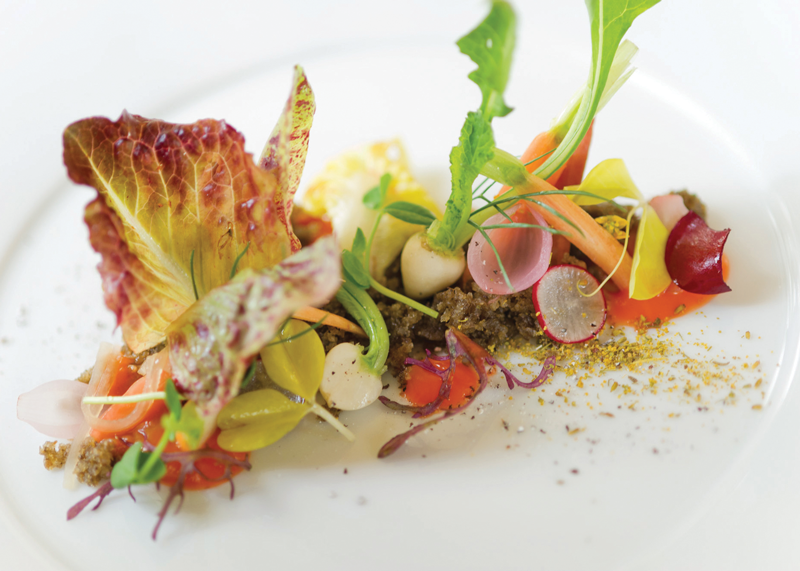 From budget to luxury, you can curate your own experience based on your desires. 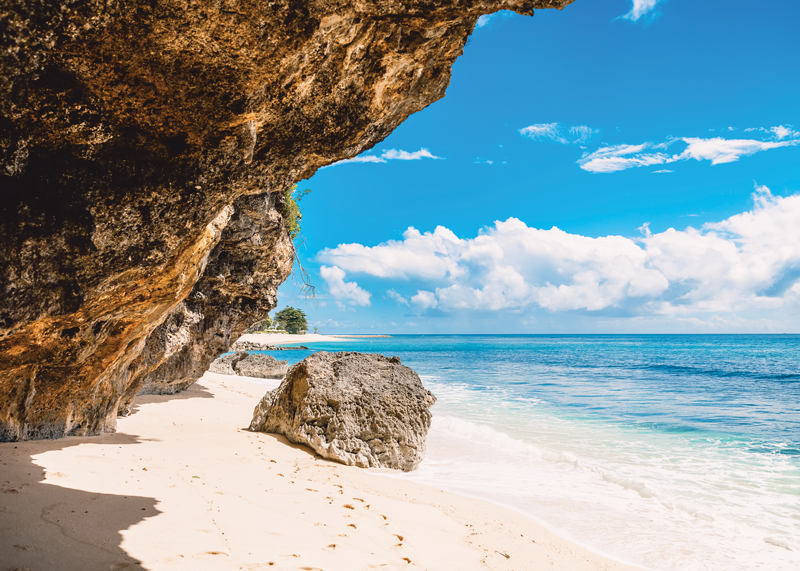 When planning, it’s important to think about the type of getaway that suits your needs: bucket-list location, foodie’s paradise or desolate getaway — the list goes on! From there, it’s easier to narrow down your options. However, if you need a jumpstart to your list, here are a few recommendations for your memorable escape. 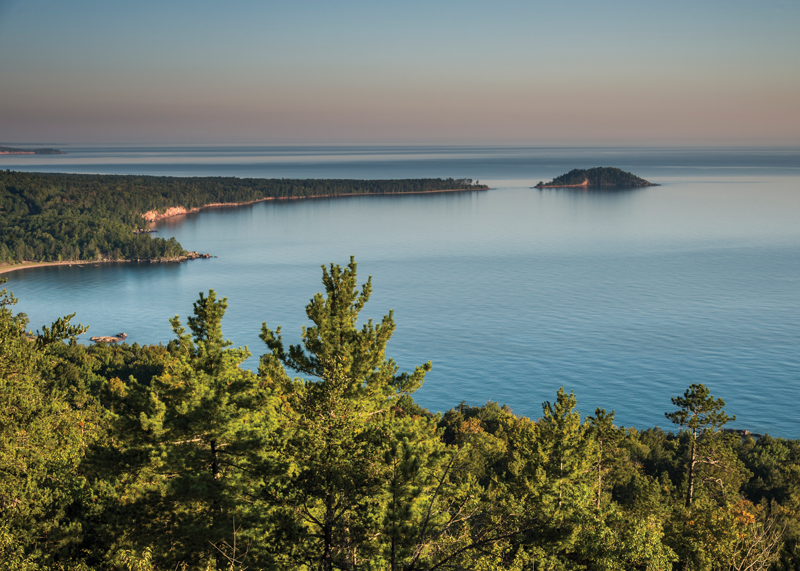 For newlyweds looking to stay local and enjoy the beauty of the Midwest, Marquette is the perfect getaway, especially for couples fond of the outdoors. Surrounded by Michigan’s majestic nature, you can find an abundance of hikes, outdoor activities and local art galleries to give you a serene escape. During fall, you can embark on the Marquette County Color Tour, where the scenic drive will take you through the brilliant colors of autumn leaves. 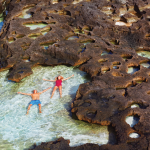 This romantic cruise stretches for many miles, and you’re sure to catch waterfalls and tunnels of colorful foliage to make for a memorable honeymoon. To enjoy an intimate stay, Airbnb is a wonderful option to rent an entire cabin or apartment. The Clubhouse at The Trestle Building (airbnb.com) is a centrally located, historic Airbnb in downtown Marquette with stunning views of Lake Superior, and it’s truly a tranquil experience. 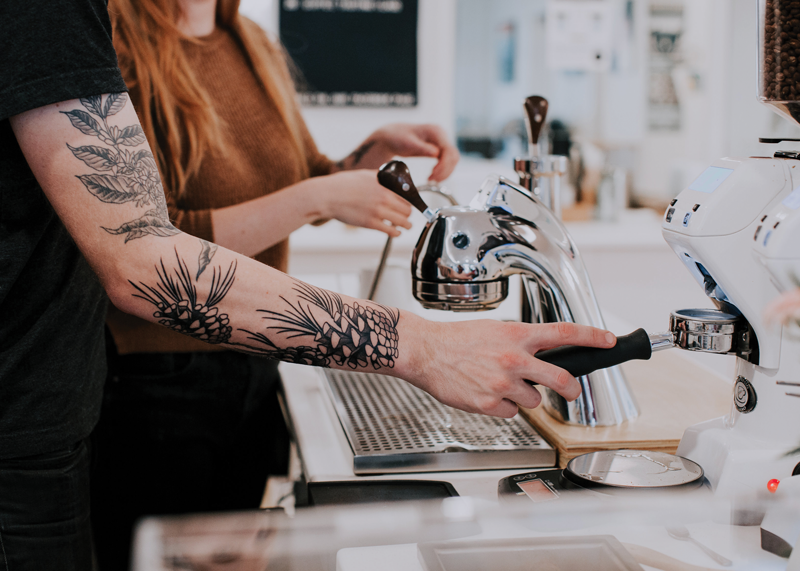 The 1,900-square-foot space includes a private entrance and deck so you’re able to enjoy plenty of alone time, but if you’re looking to socialize, you can head downstairs to the Zephyr Wine Bar (zephyrmqt.com) and enjoy your favorite glass of wine. Couples staying in Marquette can further explore the beautiful Midwest with a short road trip to Pictured Rocks National Lakeshore (nps.gov/piro). 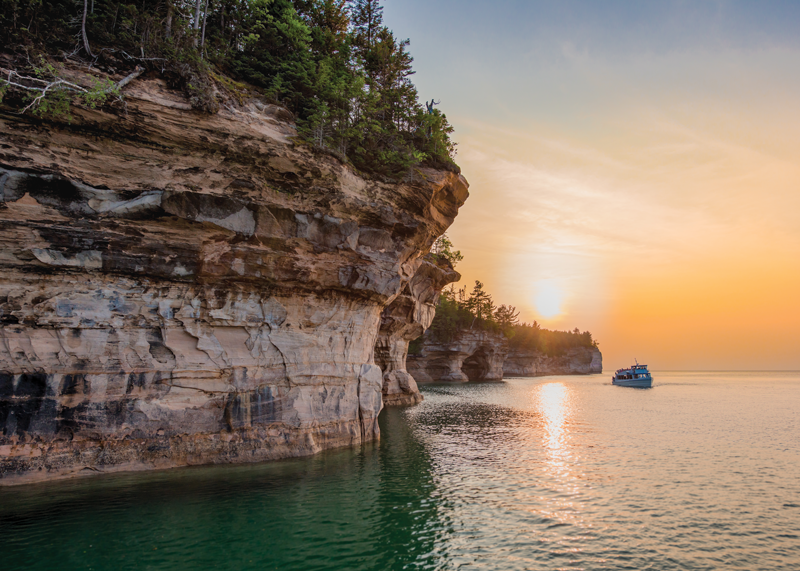 Pictured Rocks is a mosaic of colors, beautiful sights and serene landscapes. It’s no surprise that you may want to spend a day or more exploring this treasure, so book a stay at Roam Inn (roam-inn.com), and also visit Munising Falls or book a Glass Bottom Boat Shipwreck Tour (shipwrecktours.com). Sugarloaf Mountain – With an incredible view, this trail is worth the hike to the top. Mt. 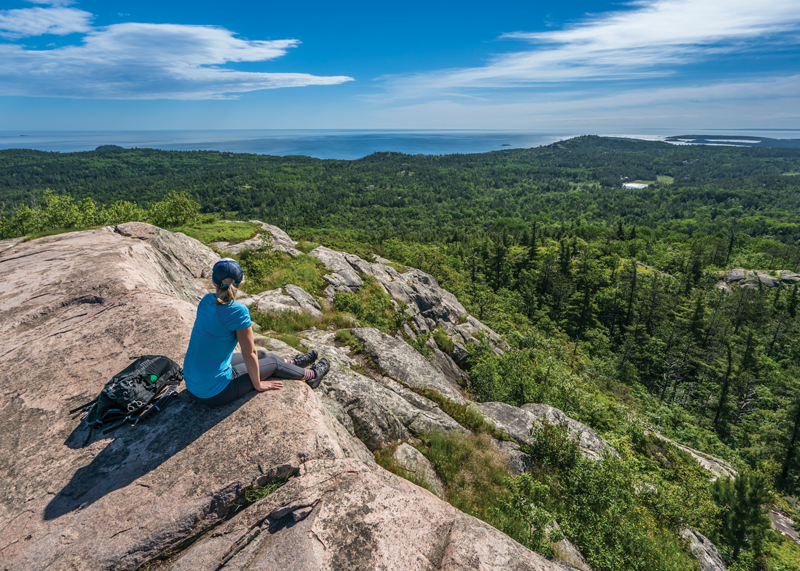 Marquette – This mountain is accessible by car and offers a stunning view of all of Marquette. Tip: it’s perfect for winter sports! Hogsback Mountain Trail Head – Explore the unbeaten path and catch a sunrise or sunset from this trail. If you’re dreaming of a honeymoon experience outside of Michigan, look no further than the beautiful state of California. 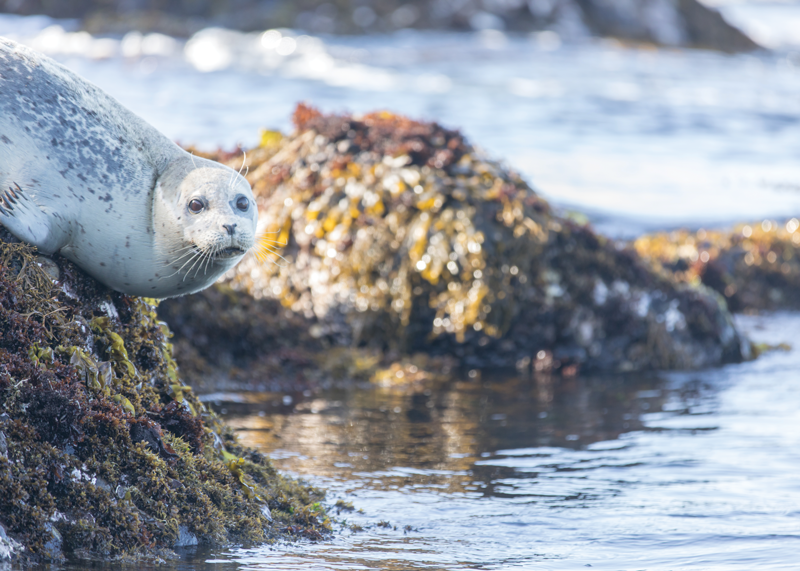 The Golden State offers something for every couple: Sonoma Valley for the wine enthusiasts, jaw-dropping coastlines for the beach lovers, or Humboldt County for the couples who want to explore nature. 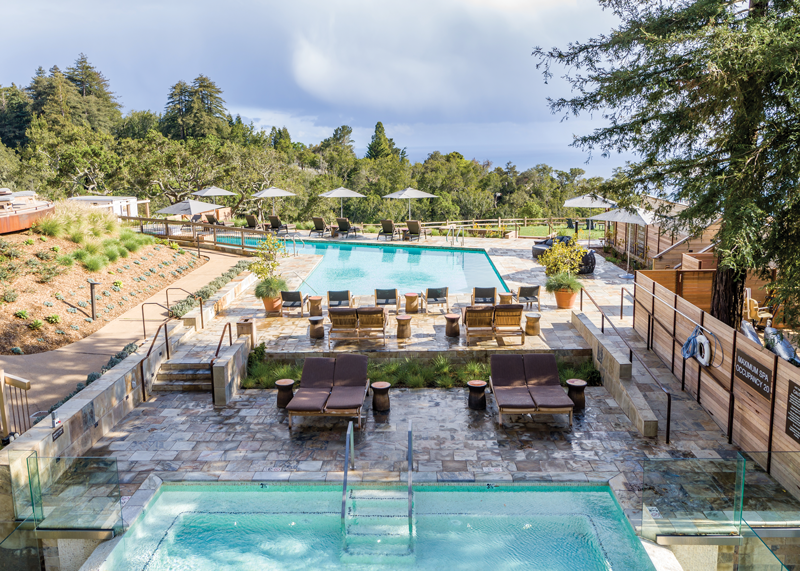 With so many options, it’s hard to narrow the list, so we recommend staying in Big Sur. 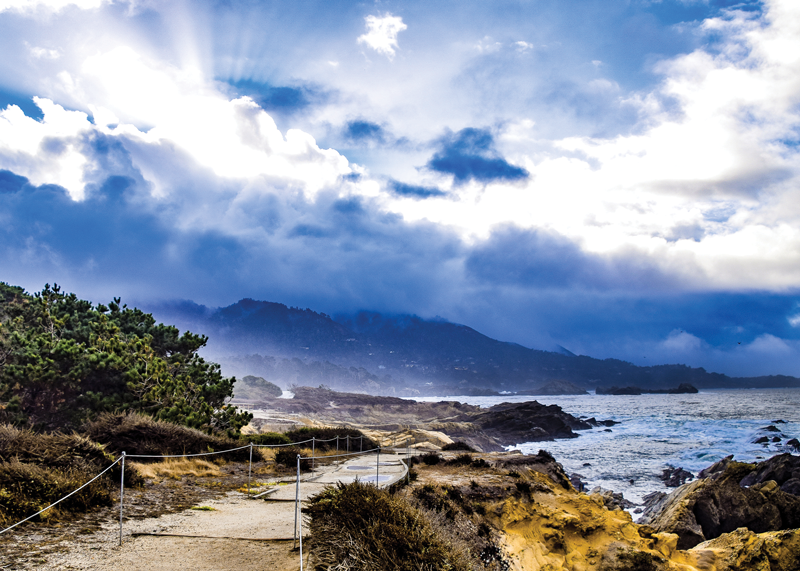 This majestic part of California has it all — pristine beaches, wildlife and luxurious resorts. Big Sur can be as interactive or intimate as you see fit. Planning the perfect place to stay can be exhausting, so we’ve rounded up a few properties that are sure to make a lifelong impression. A five-star resort, Ventana Big Sur (ventanabigsur.com) has all the options for a luxurious escape, including Japanese hot bath, yoga and even guided photography hikes. If you’re looking to connect deeper with nature, you can choose the option of ‘glamping’ at Ventana. This luxury camping experience is not your traditional honeymoon, but it’s surely one that is unforgettable. Another resort to consider is Post Ranch Inn (postranchinn.com), which is ideal for honeymooners who are seeking panoramic ocean and mountain views. Or stay at Carmel Valley Ranch (carmelvalleyranch.com), where you can book a Ranch Retreat and enjoy a romantic bed and breakfast package. 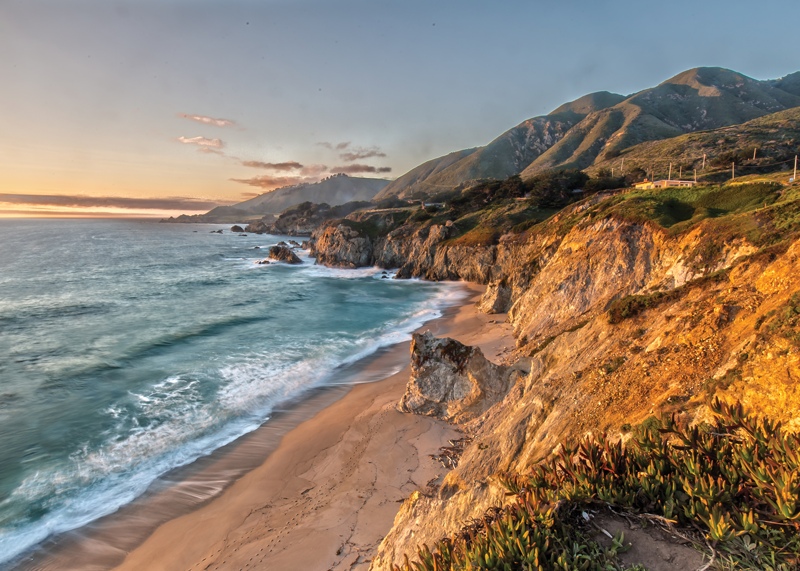 With the natural beauty of Big Sur, you can’t go wrong with any of your choices. Partington Cove – This trail will lead you to a scenic rocky beach, where you can relax and enjoy the coastal views. 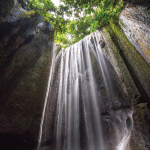 The ultimate Bali itinerary includes a mix of relaxing, sightseeing and exploring. 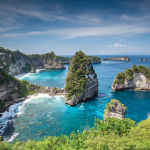 For example, you can explore Tukad Cepung Waterfall, snorkel with manta rays in Nusa Penida and enjoy a romantic dinner at the Hanging Gardens in Ubud. The type of experience you’re interested in will determine what city best fits your needs. If you want a spiritual yet touristy destination with local shopping, Ubud is an ideal destination. Maya Ubud (mayaresorts.com/ubud) is the perfect resort for newlyweds who are looking to blend luxury with serenity. 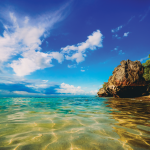 However, if you want to experience more privacy, then stay near Lembongan or Cenigan Island. One boutique resort that should be on your list is Batu Karang (batukaranglembongan.com). This picturesque oasis includes private villa and pool options, making it a relaxing getaway. 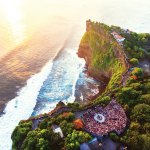 And if you’re looking for a blend of sightseeing, beaches and Balinese culture, then Uluwatu is a wonderful option. A resort that is integrated with architecture and luxury, Alila Villas (alilahotels.com/uluwatu) offers unprecedented privacy and hospitality. 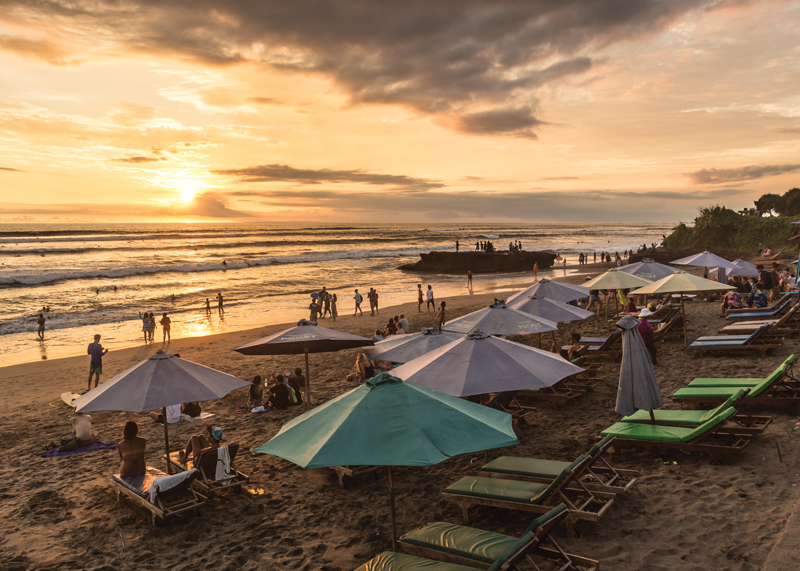 Although there are many options in Bali, you do not have to limit yourself to one city because getting around is fairly inexpensive. If you want to explore more of Bali, we recommend renting a scooter for the daring couples. Ubud Local Markets – Located on the main street, local markets offer a wide range of gifts and souvenirs (just make sure you bargain!). 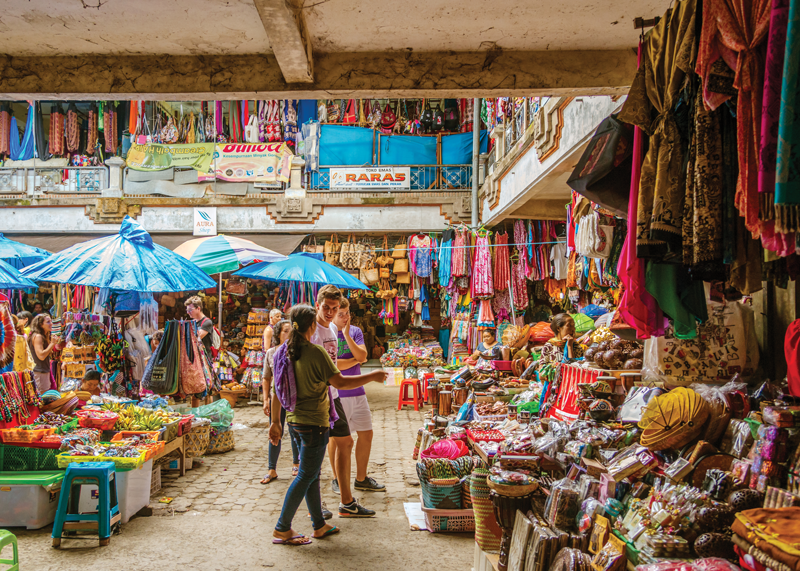 Canggu Local Markets – Local markets surround much of Canggu, but you will also find many Westernized shops, including OneLove, Nalu, and Les Basics. Kuta Square – Here you will find many stores with local goods as well as Western brands. 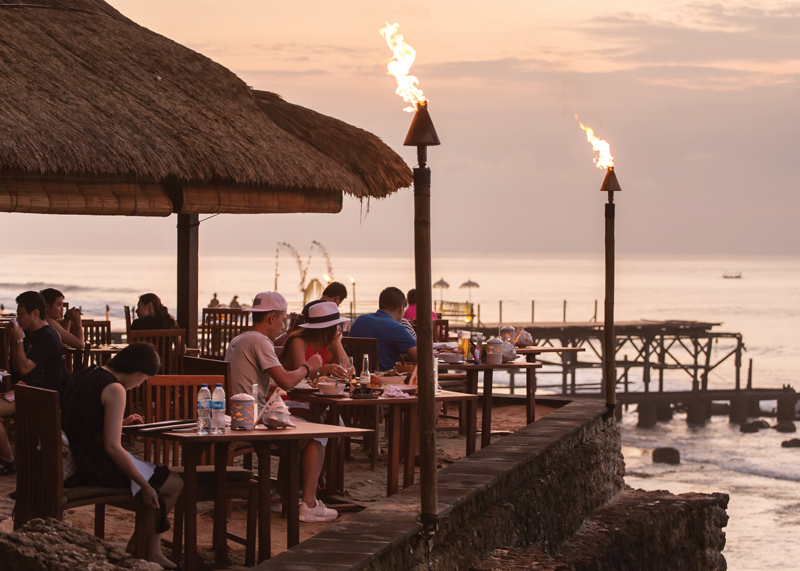 Nusa Dua – This resort area is idyllic for honeymooners who are looking to explore the dreamiest parts of Bali. Uluwatu Temple – Perched upon a steep cliff, Uluwatu Temple is a sacred place with beautiful architecture and unforgettable sunsets. You can also watch traditional Kecak dancing. 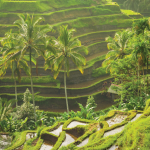 Tegallalang Rice Terrace – This cultural treasure is famous for it’s magnificent rice terraces — don’t forget to take a photo at the Bali swing. For more travel recommendations, visit Klaudia at TheTravelCritic.co.